Most people experience muscle cramps at some time in the life. It is very common among people participating in sports. Actually, muscle cramps afflict 79 % of athletes, 39 % of marathon runners, and 60 % of cyclists. I. What Is A Cramp? A muscle cramp is defined as an involuntary movement of the muscle, whether it is in the arm, back, leg, or elsewhere. The cramps may happen randomly, but when they appear on a frequent basis, this is usually a warning sign of the body about something wrong. There are several warning signs and symptoms of muscle cramps that you should know to get the proper treatment. The most common symptom is an intense sharp pain. It can also be associated with soreness, swelling, and inflammation. In a few cases, it may be a hard lump of tissue developing under the human skin. A muscle cramp usually lasts from several seconds to 10 minutes or even longer. In some cases, the exact causes of muscle cramps are not known. However, it usually results from overuse of the muscles while doing some types of exercise. Several other causes are muscle injuries, poor circulation, dehydration, and a lack of a mineral such as magnesium, potassium, or calcium. 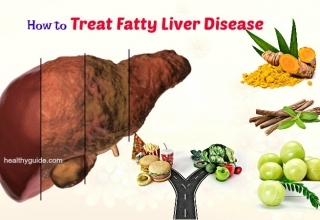 It can also be accompanied with medical conditions such as spinal nerve compression, restless legs syndrome, pregnancy, alcoholism, kidney failure, hypothyroidism, and diabetes. Generally, medicines are not needed to cure an ordinary muscle cramp. There are a lot of natural ways that you can stop the symptom of a muscle cramp, or even stop them from happening in the first place. 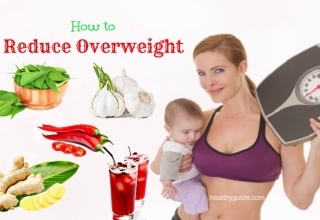 The remedies that Healthyguide will share with you, are almost entirely natural. You will find a list containing the top 15 ways for calming muscle pain and preventing further involuntary contractions. 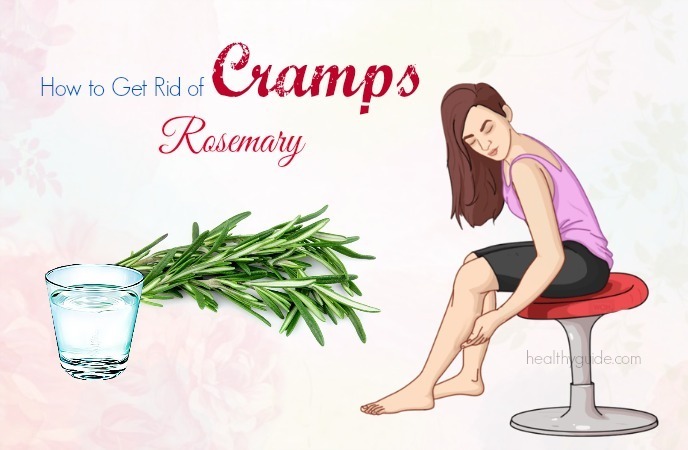 The first of top 15 effective ways on how to get rid of cramps in hands, feet, legs, and stomach is to use rosemary. The herb contains anti-inflammatory properties which have the ability to soothe inflamed muscle tissue and eliminate pain as well as soreness. Furthermore, its warming effect can promote relaxation. It can even promote the recovery process because rosemary is absorbed through the skin easily. You add an ounce of rosemary leaves to a jar filled with boiling water. Then you cover and allow it to steep for about 30 minutes. Next, you soak a soft washcloth in this warm liquid and then put it on your affected area for about 10 to 15 minutes. After the pain improves, you can apply a cold compress for fast results. Besides, you can make a tea by adding 1 to 2 teaspoons of dried rosemary and a cup of hot water to a pan. Let it steep for 10 minutes, strain it and drink this tea at least 2 times a day. 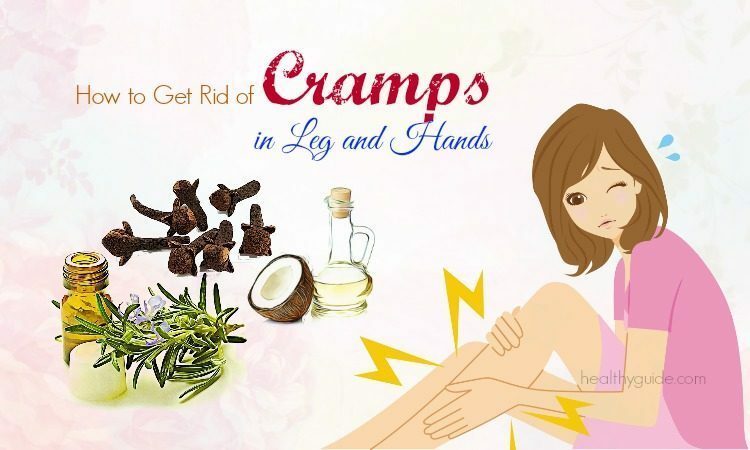 If you are finding the simple and easy ways on how to get rid of cramps in feet, legs, hands, and stomach naturally at home with ease, drinking milk and turmeric is a suitable answer for you. In many years, the combination of milk and turmeric is popularly used for any type of bones problem. This solution has the ability to treat your leg cramps and provide the enough amount of warmth that is required by the body. You make a mixture by adding 1 teaspoon of turmeric to a glass of warm milk. Then you stir it well and then drink this while the mixture is still warm. You should do this a daily basis to see the symptoms of cramps getting vanished. As the mentioned, the deficiency of calcium and potassium can cause your muscle cramp. In this case, blackstrap molasses are an excellent remedy for you. It contains a great source of potassium and calcium, and thus it is able to keep muscles strong and prevent cramps. You prepare a glass of hot water or milk and add a tablespoon of blackstrap molasses to it. Then you mix them well and drink this mixture as a solution. The pain will appear within a few minutes. You can drink this mixture once more if required. Another amazing way on how to get rid of cramps in stomach, feet, legs, and hands naturally at home with ease is making use of clove oil. The oil has been known as the best ingredient for the muscles. It has anti-inflammatory properties that aid in reducing the inflammation and swelling due to muscle cramps. Moreover, clove oil is also high in anesthetic properties that are beneficial in alleviating pain, thereby curing the problem of muscle cramps. First of all, you take an enough amount of clove oil and put it in a pan. Then you make the oil slightly warm by heating it for several seconds. When the clove oil is still warm, you apply it on your affected area. You use firm strokes to massage this area for about 5 minutes. If necessary, you repeat the process again to get the instant relief from the pain. Coconut is best known for the treatment of various illnesses in the person’s body including muscle aches and pains. In addition, massaging coconut oil can also be very helpful for you when you suffer from the leg cramps. It is capable of nourishing your bones and improving the blood circulation in your body at the same time. You firstly put some coconut oil in a pan. Then you slightly warm it by placing the pan in a heat for a few seconds. Now, you apply it directly to your affected parts and start massaging gently with your fingertips. After that, you let it sit on for some time to help the oil do its work. You can repeat this method 2 times per day to notice the desired improvement. 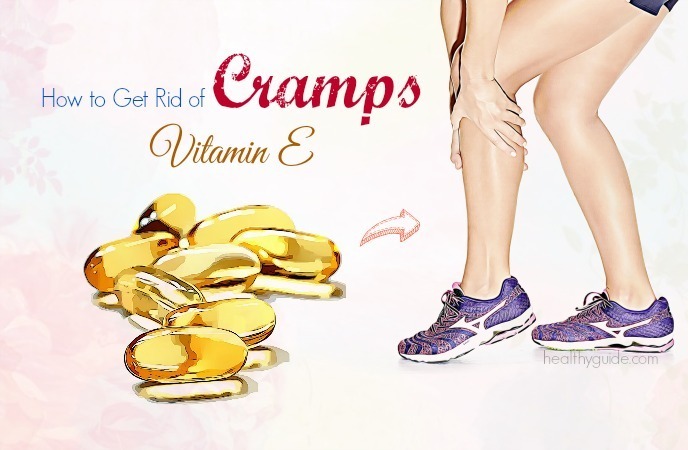 One of the best ways on how to get rid of cramps in stomach, feet, legs, and hands naturally at home is Vitamin E because the lack of Vitamin E can contribute to leg and muscle cramps. This is a cause why many sports enthusiasts and athletes always ensure that they are taking enough vitamin E in the diets. There are many reports and studies indicating that vitamin E is capable of preventing the presence of leg cramps and keeping your muscles in a better condition. There are a lot of healthy foods which are high in vitamin E, meaning you do not need to take many supplements every morning. Instead of that, you try eating more tofu, spinach, sunflower seeds, nuts, avocados, shellfish, fish, squash, plant oils, broccoli, and pumpkins. There are many the wonderful ways on how to get rid of cramps in stomach, feet, legs, and hands and using yellow mustard is one of them. In fact, yellow mustard is always used to cure all problems related to muscles. Its powerful essence and valuable properties will assist in getting rid of your problems like muscle cramps. In addition, yellow mustard is very rich in acetic acid which is able to promote the production of acetylcholine. This will be useful in releasing pain from your muscle cramps area. To use yellow mustard for cramps, you just need to take a teaspoon of yellow mustard and follow it by a glass of warm milk. Raw apple cider vinegar is also known as one of the simple and easy ways on how to get rid of cramps in hands and legs naturally at home thanks to its potassium content. To reduce the symptoms of muscle cramps and prevent it from happening in the future, you need to offer the proper potassium level to your body because low potassium is the main cause of frequent muscle cramps. Besides, apple cider vinegar is packed with a lot of nutrients that help to control the balance of the fluid in your body, thereby preventing dehydration. You make a mixture by adding a teaspoon each of raw apple cider vinegar and raw honey along with a tablespoon of calcium lactate to 1/2 cup of warm water. Then you stir these ingredients well and drink this solution at every night 30 minutes before going to bed. You continue the intake of the mixture once regularly at night times to prevent the nocturnal leg cramps. You can experience muscle aches and pains if the level of magnesium in the body is low. Therefore, taking magnesium supplement is a fast way on how to get rid of cramps in hands, legs, feet, and stomach. However, you should start by taking foods which are high in magnesium first. Several foods that will provide your body with magnesium are pumpkin seeds, black beans, flax seeds, sunflower seeds, cashews, almonds, cocoa powder, spinach, and Swiss chard. If you want to learn how to get rid of cramps in legs and hands naturally at home without having to make use of any type of drugs, pills, or medicaitons, Epsom salt can be a perfect option for you. Because it is loaded with rich content of magnesium which aids in relax your tense muscles, thus leading to eliminating muscle cramps. Furthermore, Epsom salt has the ability to soothe the muscles, ease stress and detoxify your body in order to reduce the tightness in the muscles. At the first step, you prepare a bathtub filled with warm water. Then you pour about 2 to 4 tablespoons of Epsom salt in the bathtub. Now, you stir well and start soaking yourself in the water for about 15 to 20 minutes. You should repeat this bath water for 2 to 3 times per week if you are experiencing frequent muscle cramps. Follow the method can help you get rid of this issue. Note: For extra results, you can massage the affected muscles by using essential oils or a pain-killing to relax your muscles after having a warm shower. Also, people who suffer from heart problems, high blood pressure, or diabetes should avoid applying Epsom salt bath. Applying heat on your affected muscles will help to relax them and relieve you from the pain, tightness, and cramping. After applying the initial heat remedy, using a cold compress on your sore muscles will assist in numbing the pain, reducing inflammation as well as soreness by promoting the constriction of the blood vessels. Firstly, you dip a soft towel in a bowl filled with hot water and then squeeze it to get rid of excess water. Now, you place the hot towel over your affected muscle area for a few minutes. After that, you take out this towel and do the same process for several times a day. Now, you wrap a couple of ice cubes in a clean towel and put it on your tight muscles. You rub the area gently for 10 to 15 minutes and follow the same for a few times. Finally, you continue applying the same process frequently until you get relief from your muscle cramps. Note: You can take hot or cold showers that have the ability to improve the blood circulation as well as relaxing your sore muscles. Warming up with both of static and dynamic stretching is also a wonderful way on how to get rid of cramps fast in legs and in hands that we would like to reveal in this article. If you incorporate both kinds of stretching into a warmup routine along with drills and aerobic components, this will aid in optimizing your exercise performance and reducing the chance of straining muscles. Moreover, by priming the major muscle groups, thereby flooding these areas with blood, your muscles are prepared for higher intensity movements. Therefore, you need to do a proper warmup before workouts to avoid shocking your system and cause muscles to tighten or lock due to stress. Some people who suffer from sore muscles due to sitting in one position for a long time have been encouraged to move. This is an effective way on how to get rid of cramps in feet, legs, hands, and stomach because the muscles may get awfully stiff if the position is assumed for long. The muscles have the tendency to assume a position unless they have a change. When you are tensed up, your muscles will also get tensed up and may become painful. In this case, you can move around, walk, stand up, stretch every now. This will help to soothe muscle tension and stiffness, thus providing complete relief from pain. Movement is also helpful for you to be active over time. As you may know, dehydration is the main cause of muscle cramps, in both of non-athletic and athletic people. 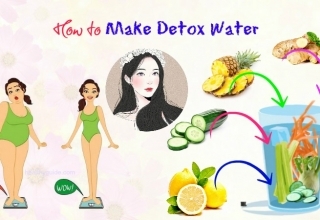 Therefore, the fast way on how to get rid of cramps in feet, legs, hands, and stomach is to rehydrate your body, which will solve the problem quickly. You drink 1 to 2 glasses of water right after upon cramping. Make sure that you drink enough 8 glasses of water throughout a day to prevent muscle cramps. If you have a tendency to suffer from muscle cramps during exercise, remember to drink water 2 hours before each your workout and at breaks while exercising. Also, drink a glass of warm milk before bedtime will help your body absorb the calcium in order to prevent leg cramps. Apart from drinking water, you should eat more fruits high in water and vegetables to decrease the chance of dehydration as well as preventing muscle cramps. The last of top 15 wonderful ways on how to get rid of cramps is to massage your muscle. Massaging your affected muscle is able to reduce the soreness and stiffness. With long strokes, you need to massage the cramped muscle until it becomes relaxed. Then you wrap this area with a soft and warm towel. For maximum benefits, you can prepare massage oil by mixing a part of wintergreen oil with 4 parts of vegetable oil. 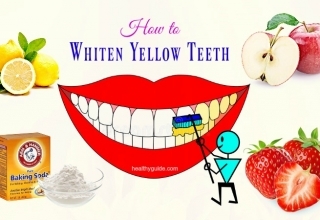 Wintergreen is rich in methyl salicylate, which will help to relieve pain and stimulate blood flow. 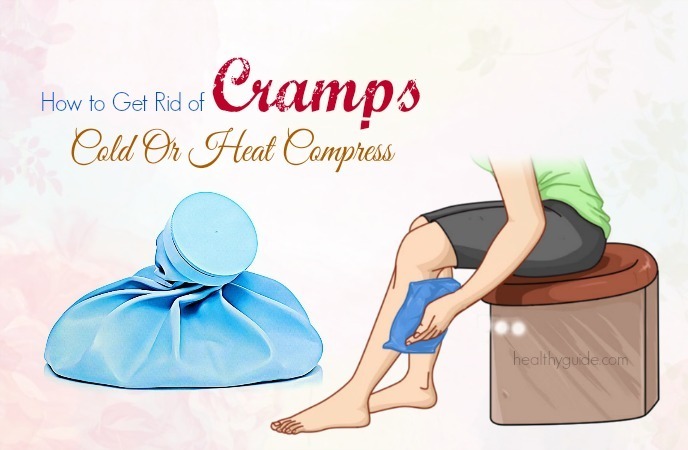 Along with the listed ways to get rid of cramps, you should follow these additional tips below to deal with your problem. Regularly performing some simple stretching exercises and yoga will assist in reducing pain and inflammation on your affected muscles. Include calcium and magnesium along with several types of vitamins such as A and E to prevent cramps. 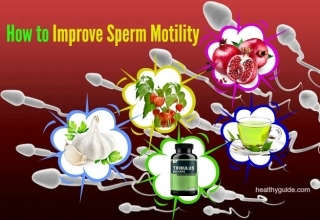 Note that you consult a doctor to get a mineral and multivitamin supplement. This will decrease the muscle cramps and help the muscles become stronger. You need to fix your posture properly to eliminate muscle pain or spasms because a bad posture will lead to muscle cramps. Wear proper footwear, which can prevent extra pressure on your muscles. Besides, avoid wearing tight leggings or jeans in order to get complete relief from the leg or muscle cramps. Thank you for following the entire writing. 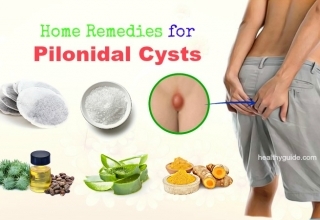 We hope you will find useful information and the remedies suitable for your problem. If your condition does not become better after applying any mentioned ways, consult your doctor as soon as possible to find out the right reason and get the diagnostic for muscle cramps. If you know any other natural and effective remedies for muscle cramps, please leave your opinion in the comment section below. Apart from how to get rid of cramps in feet, legs, hands, and stomach quickly, we recommend you spend a little bit of time on reading another article about foods to build muscles fast. Besides applying effective ways to combat muscle cramps, you should have a proper intake of foods to improve the healing process. This writing consists of 15 various kinds of foods which have the ability to build your muscles faster. Hope that it will be helpful to you. Also, if you need to find more information about how to get deal with other health conditions, let visit our main How to page.